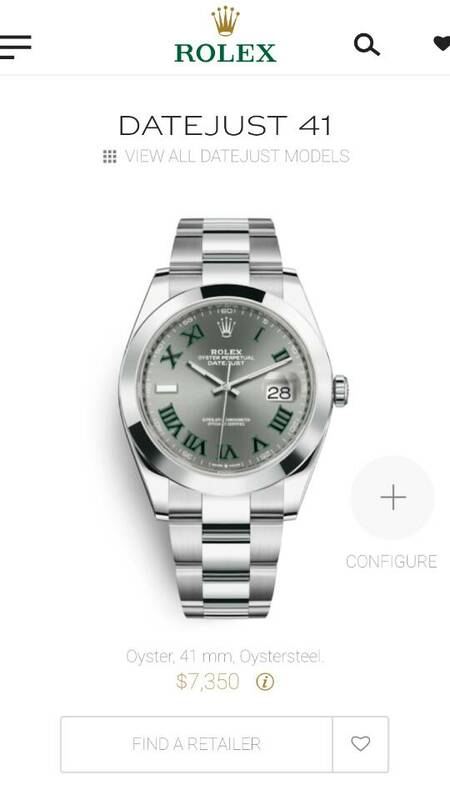 I recently saw a the Datejust 41mm with the slate face and the green roman markers, the watch comes with a choice of flat or fluted bezel and a choice of the oyster or jubilee band. I have not seen many of them out there, it is a pretty watch. i am considering it as my next acquisition, would appreciate any thoughts and comments. Any other SS that should be considered (besides the obvious, Daytona,Sklydweller,Pepsi, Sub)? I have the Rhodium dial, jubilee with fluted bezel. It's a great watch that easily holds it's own against the usual sports models. In fact I'd go as far as to say it's probably the favourite in the collection. plan on buying a DJ41 this week. everose, chocolate dial, jubilee bracelet. I have that DJ41 TT fluted, jub, slate green Roman, even more impressive in person, and great wrist presence. Superb. I have the slate roman, smooth bezel on oyster on order. I've never seen it in person but I have a feeling it's going to be a stunner. hi gatsbie - i went to 3 ADs today and 2 of them had this. it looks great as well, although for me the large roman numerals make it look a bit too "regal" for my use. the green against the slate looked very classy though. one thing and i may be wrong is that the slate looked slightly lighter than the rhodium. i could be wrong though. I got the slate dial, green Roman numerals on TT rose gold with fluted bezel and absolutely love it. It was a toss up between that and the white gold same dial. This could be my next purchase, but I'm going the full works with a diamond dial.